Petal was tasked with developing a campaign which would have legacy value, highlighting the business’ core values of helpfulness and customer loyalty and engage the sales team to have wider conversations with customers, putting personality before product. Robert Scott wanted to demonstrate its national reach of business and generate trade media coverage, increasing previous coverage levels and outperforming competitors. We devised and launched the inaugural Robert Scott ‘Cleaning up your Community’ campaign. This was a national competition activated through the Robert Scott sales team regions, inviting distributor clients to nominate a worthy community cleaning project, that really mattered to them. 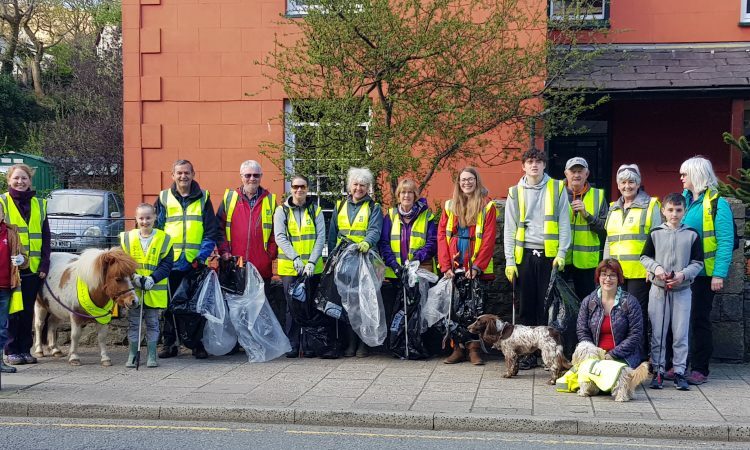 We launched the campaign at the beginning of March to time with the Great British Spring Clean Weekend with a crowd-sourced a cleaning Spotify playlist. The comprised the sales team’s recommended ‘songs to clean to’ and was shared this across social media channels, with industry publications and clients via a launch email campaign. We targeted customers through a proactive email countdown campaign, media relations and social media (including paid for social on LinkedIn). We invited editor of Cleaning & Maintenance, Neil Nixon, and Chairman of The Great British Cleaning Council, Stan Atkins to join the judging panel to elevate the campaign within the industry and bolster credibility in the campaign’s launch year. The campaign culminated in a judging day and results reveal at the bi-annual trade fair, Interclean. Sales team generated 15 entries. Over 50 clients engaged with the competition. Highest coverage levels ever achieved by Robert Scott – double the share of voice of closest competitor.